The naval architects at Espen Oeino International S.A.R.L. continue to raise the bar of superyacht design with their latest offering – Sunrise Yachts motor yacht IRIMARI. 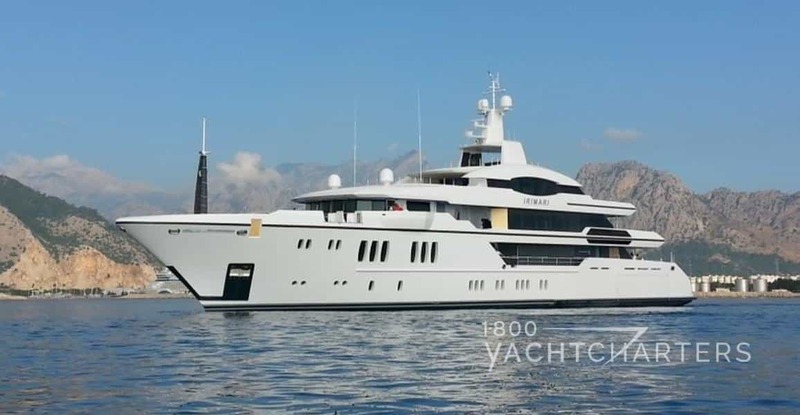 Delivered to her owner in July, the 63 meter yacht is currently cruising in the Greek islands. So far there is no word if the vessel will be entering the Greek yacht charter fleet. Sunrise 63 yacht IRIMARI is scheduled to make her official debut at the 2015 Monaco Yacht Show this month. Based in Monaco, Espen Oeino International is considered one of the leading design studios of private yacht charter vessels, especially in the category of Superyachts. Their portfolio includes Lurssen motor yacht MARTHA ANN, and the world’s largest yacht available for charter, Fincantieri yacht SERENE. The launch of yacht IRIMARI marks the first of the Sunrise 63 series to splash down for the Turkish builder. The Espen Oeino designed yacht features interiors by Focus Yacht Design and naval architecture by Unique Yacht Design. Built with a high tensile steel hull and aluminum superstructure, the yacht has a transatlantic range of 5,000 miles, and a top speed of 17 knots. Interested in chartering a yacht like this one? Here is a sampling of some of the newest yachts for hire.